"The largest social network for professionals and companies. " I love how LinkedIn Talent has become an incredible job platform, through it you can not only find a job, you can also find professionals for your company. LinkedIn Talen is a platform that is easy to use and that is FREE, it works as a kind of social network of professionals, where we will create our professional profile, with all our labor information, such as work experiences, where you studied, the last company in which You worked, among other things. LinkedIn also allows you to contact professionals from your own field of work, I have managed to meet models and modeling companies from all over the world, personally LinkedIn has worked for me as an excellent job tool, to find jobs, either in my country or in other countries, this is really great, because through this platform my curriculum can not only reach a few people but hundreds or thousands of people. In general LinkedIn Talen is an excellent application to find a job or find professionals, easy to use and also free. LinkedIn has become my favorite applications, and until now I have not had any problems using it, although it is true that to access better benefits we must pay and these costs can be somewhat high, it is totally worth it, it is a specially designed application to facilitate our job search. LinkedIn Talent is an application that once we know it will become indispensable in our personal and professional life, through which you can get the job offers you need and also connect with companies and professionals from different parts of the world, I am sure that none another platform will offer you as many benefits as this, in addition to being free and having a friendly interface that is easy to use. From the employment point of view, LinkedIn has helped me find a job many times, both in my country and in other places, I have also managed to meet several very good modeling agencies and I have also managed to meet people from different parts of the world through this platform. What Recruitment Marketing solution do you use? "LinkedIn una oportunidad de trabajo." Me gusta LinkedIn porque es una red profesional que se ha convertido en todo el mundo en los últimos años en una plataforma idea para aquellas personas que se encuentren interesadas en dar a conocer su hoja de vida de manera digital. Este sitio Web esta orientado a los negocios, tiene como objetivo que las personas puedan mantener una lista con información de aquellas personas de interés. Tiene la gran ventaja de que a través de LinkedIn se puede generar oportunidades de trabajo, mantener el Curriculum Vitae online actualizado, conseguir un contacto directo con los líderes y referentes de cualquier empresa o industria. En resumen es muy útil a la hora de buscar empleo y darse a conocer al mundo como profesional. Al crear un perfil en LinkedIn estas expuesto a un robo de identidad ya que se pueden conseguir datos personales de cualquier usuario en cuestión de minutos. Se puede difamar a una persona fácilmente, y ser vistos en poco tiempo por una multitud. Se recomienda cuidar la imagen del perfil profesional creado, gestionar adecuadamente tus contactos y unirse a grupos profesionales y participar en ellos para sacarle el mayor provecha a la herramienta. LinkedIn Talent es una herramienta beneficiosa y perfecta para mejorar tu networking profesional y obtener más oportunidades laborales. LinkedIn agrupa empresas y profesionales de numerosos campos laborales en un mismo lugar, facilitando ampliamente la comunicación entre las diferentes partes de una negociación. "Locate your next opportunity with LinkedIn Talent." I have been using LinkedIn Talent for a short time and in that time I have been guarantor of how excellent this social network is to get job opportunities. The first thing I like is that it really provides opportunities, not like in other pages where everything is a lie, it is informal and formal at the same time that gives you the possibility of connecting with key people for your job growth without feeling imprisoned by a formal structure, having so many stable years gives a test of how safe and optimal it is. I definitely love it and I will not stop using LinkedIn Talent. I dislike not having reached LinkedIn Talent before. With time you get used to their platform and every time gives more opportunities. You do not lose anything with trying LinkedIn Talent, it's free and it does not limit you to a work group, you can venture between your tastes and grow personally. Previously we required companies to be able to capture and take potential talents for the positions we offered and in that process time, money and the security of knowing first hand who was going to enter the company and we had no way of knowing their trajectory with security, all these problems were in the past with LinkedIn Talent and we greatly appreciate it, it has improved our staff and makes us better in front of the other textile and fashion stores because we have the best staff. "LinkedIn Talent - "Great place to find Talent""
I have been using LinkedIn from past one year i work as a recruiter and it has helped me a lot to find great talent here by inserting boo-leans and keywords. Connecting with people all over the world and discussing with them regarding different job opportunities. We can just surf on LinkedIn and we can see every time new content, their are lots of videos and facts and many other ideas which really help us into daily life. LinkedIn really holds great collection of talented people which are very genuine and ready to listen you. Every recruiter must use LinkedIn. Their are many other advanced features which i want to use but due to high pricing of LinkedIn i cannot use that. If LinkedIn can reduce their pricing that would be really great for everyone to use LinkedIn and its advanced features. I really want to recommend all the people through out no matter in which ever field they are working or studying but should use LinkedIn. The talented candidates which you will never find on other portals you will surely see those profiles on LinkedIn for me this is really a great solution to my problem and help in growing my business. "Thousands of professionals in one place "
The search of personnel was never as easy before as it is now with LinkedIn Talent, through this platform I get the right personnel for my company, it is a kind of worldwide network of professionals, where you can find work, as well as offer it, you can verify the information of the possible candidates and even contact with them, is an intuitive platform, easy to use and that is also free. Before I had to review many resumes between piles of papers until finally find the right people for the interview, now with Linkedin I only start to inquire candidates with the job professions I need and ready, I contact them and an interview. In general, LinkedIn is an excellent platform for both finding human talent or, in a more personal case, finding companies where you can work. Unfortunately, all the information we provide to LinkedIn can sometimes be used for identity theft and that is quite dangerous, luckily LinkedIn eventually asks you to upload your identity documents to verify that you are who you say you are. I strongly recommend the use of LinkedIn Talent to all people who are looking for work or workers for your company, on LinkedIn Talent you will find all the professions you seek and from different parts of the world, you can see the information of your potential candidates and get in contact with them for an interview, the curriculum that was delivered in print was left behind, now with LinkedIn we welcome you to a technological platform of professionals worldwide. One of the main functions of the Human Resources department is to find and find personnel for the different areas of the company and this was a very tedious job at some moments, since I use LinkedIn all that work was simplified, now it is much easier, faster and with the best results, I always find excellent candidates for the jobs, so thanks LinkedIn Talent for that. "is an excellent program to know the talents and abilities of your new staff"
Linkendi is excellent to find new staff or employment based on your talent or skills, according to what you need at that moment I can search by organizations or institutions and find the talent I need and maybe find connections I was not even aware of . It is easy to follow the path of someone's career and obtain information about certain companies. The new design facilitates messaging within the application. One of the things that I do not like is its high cost, and even though it gives you free promotions for a month you have to pay before which I do not see much sense since you end up paying for the service and you can not try it before, for see if you like it or not, and I'm not high if they make returns. This program has solved the problem we had to recruit staff, LinkedIn Talent has many different ways to find the best talent showing you all the skills of the future staff of your company which is incredible. Linkedin has a component of interaction between pairs that no other page dedicated to the job search has. Being able to interact with companies that look for collaborators or with collaborators that look for companies in which to work is super practical. This interaction allows us to learn, to know each other, to share relevant information of the professional world and that all people can see your work profile, your experiences as a collaborator and your progress in studies that complement it makes it very useful to find work for those looking for it, and find the ideal collaborator. I do not have to criticize Linkedin, could in this case suggest the interface makes it a bit more intuitive because it contains many details that for those who do not know it can be tedious to become familiar. I recomend to you all, this work tool because in a personal way you can find in a exclusive way the ideal person to add to company, with the necessary experience. As a freelancer I can perform very specific searches depending on the current profile, cases that in common pages of job search is not given. Here I can get the ideal person, know their past and their experience and even make a previous conversation with him through the chat. When looking for collaborators groups are very helpful because it allows many people with similar characteristics to view the search and apply once if they want or talk with me before.
" social network for general employment"
I like that I can that I do that, I can read that, I can do that, I think that is also a very wide network to search for work, you can exchange different knowledge, gather information, read forums and comments of area according to the interest of each who, is a very broad tool because I can highlight my attitudes, objectives or expierncias. Through this wonderful social network you can search for professionals in the area as the case may be. I like that through LinkedIn you can generate job opportunities. You get direct contact with the leaders and referents of your industry. It allows us to do Networking from anywhere in the world. Participate in forums and online consultations with related professionals. "The best Global Network of Professionals"
I love LinkedIn, because it's the fastest, most effective and practical way to get the right staff for your company, or otherwise get the ideal job you're looking for. It is a giant global employment platform, in which you can detail in the way that you think your skills as a worker are more convenient and in this way companies can find out about you and contact you, it is a win and win, we are part of the Companies, like me, get the right people and people in search of work get the company that suits their needs. LinkedIn is very easy to access and use, you can connect from your cell phone or computer. In general LinkedIn is a global network of professional information, which can help you get the job you are looking for or the worker you need, it has saved my life in more than one occasion when I need to find professionals for the company. There are very few things I do not like about LinkedIn, the truth is an incredible platform and I think the only one in the market with such an excellent information system about professionals, the only thing I could complain about is how slow sometimes it is if the internet connection is not so good, and the identity theft that can develop on the platform, due to the lack of privacy that there is in the significant amount of information you upload to this network, of course , that users are responsible for this when they start using the page, for the rest, everything is incredible with LinkedIn. Uno de los principales motivos de que una compañia sea exitosa son sus trabajadores,asi que si estas en la busqueda de los trabajadores ideales para tu empresa,no hay mejor manera de llegar a ellos que a traves de LinkedIn Talent, te ofrece multiples herramientas diseñadas tanto para buscar trabajadores como trabajo. Solo imagina que tu CV no esta al alcance de 10 o 50 empresas, sino de millones, asi que recomiendo con los ojos cerrados esta plataforma, tanto a nivel empresarial como personal. It has facilitated the search of personnel enormously, by giving me the best professionals for the company, qualified people and with the best performance, without losing time or money, making the work of the company something more efficient.
" professional network of jobs"
I like that a very wide social network at international level, I have the possibility to highlight all my virtues in a simple way, I can express my attitudes, experiences, and I can chat or meet people from my environment, it is important that through this tool I can apply to the different offers or to look for some personnel that is required serves both ways, it is easy to use. I like that you get direct contact with the leaders and referents of your industry. You can get people with this tool and you can share information regarding your area or your interests, it is important to know that with this tool I can meet professionals in the area and exchange information or necessities. "The most important social network for employment"
I like that allows me to create a profile that highlights the most important things such as skills, the latest experiences and tastes, I love that it allows me to contact many colleagues and share experiences in different parts of the world, On the other hand, one of their Greater virtues is that the wide network allows sharing and interaction. With different topics of your liking, you get information of interest and offers a wide variety of jobs available according to your area. Improve the digital reputation of your brand ie any company that is represeantada through this website. I also like that access is simple, you can enter from the web and its graphical interface is quite friendly. It allows us to do and to finish I think that the best tool to get the desired job Networking from anywhere in the world. 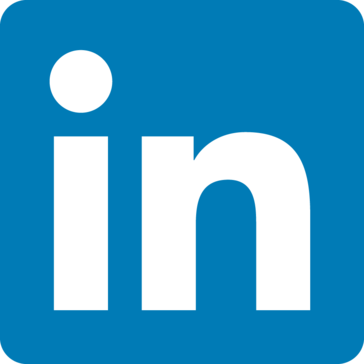 "LinkedIn is the go-to software for job seekers"
One of the programs that I use most often in my workplace is linkedin as it is our efficient way to recruit new staff for the company. The professional network Linkedin has become in recent years an idea platform for those people who are interested in publicizing their digital 'resume'. Allowing companies to acquire a list of interested in the position with resumes and experiences. One thing I want LinkedIn to work on is the "Date of publication" feature. I would like there to be a function that would allow me to enter a specific published date, or a specific range. While in the last month, week or day are useful, sometimes I want to search in the last three or five days. In addition, although I believe that this is attributable to the work poster, sometimes the level of experience of the work does not match the job description. Sometimes, I will see jobs marked "entry level" with a description that says that candidates must have more than 5 years of experience. However, I think this would be an easy solution with some kind of algorithm to scan the publication of works. I think it is more than an employment portal, it is a tool for connecting people around the world, which can connect with job opportunities. Thanks to the possibility of creating a professional profile, in which studies or experience are not enough, it is also important the interaction and being always connected with business trends. In addition, the possibility of doing job searches worldwide maximizes your profile, managing to explore international opportunities for growth. As it is evident, Linkedin is a medium where currently, through its connections, it helps to let you know yourself or the work you do. In a few words it has become a digital market where we have to say "present" taking the appropriate measures to achieve the security of our information. * Through LinkedIn you can generate job opportunities. * You get direct contact with the leaders and referents of your industry. * Share information through groups. * Ask our network questions about issues that concern us. * It allows us to do Networking from anywhere in the world. * Be in contact with professionals and be located. * Be recommended by other contacts. * Participate in forums and online consultations with like-minded professionals. * Keep the Curriculum Vitae online. "An excellent professional search engine." The search for qualified personnel in companies sometimes becomes a bit tedious, so LinkedIn Talent is an excellent choice to make the search of personnel something more practical and successful. LinkedIn allows us both to find employment and get employers, connects thousands of people around the world, with different qualities and professions, I think it is the only global network that provides you with so many options and information, the truth is that personally and Professional is one of the best applications. LinkedIn has been my first choice at the moment of getting workers or work, and the truth is that it has fulfilled its function in an excellent way, so there are not many things that I do not like about this application or network, just the fact that sometimes too much information is provided that maybe in certain cases can be used negatively by wrong people, besides that it is used a lot for identity theft and therefore I have been able to find several false profiles. If you are looking for a network of work where you can get jobs or workers, LinkedIn is the best application for you, after all it's like uploading your resume to a global network, it is easy to use and easy to access, it keeps updating constantly and thus obtain from our search better results, with this application practically everything you need to hire someone: direct access to millions of people around the world, management of job offers, the possibility of including personal notes in the profiles of the candidates and service of messages and calls. If you use LinkedIn in your hiring process, there is little doubt that you will like it. The best thing that LinkedIn has provided me is the discovery of the right personnel, qualified and certified professionals, without losing time and improving every day as a company in terms of professionals. I like that it can be viewed from a smart phone or PC, can be used in mobile devices and consumes little RAM. It does not weigh much, your updates are very useful. Currently I have the software installed on my smart phone to be always connected. You can meet many people who work in the same area, you can offer your professional services to companies that are registered on LinkedIn. I do not like much that most of the time they end up recruiting an applicant who figure among the first to be premium. They need more options in the labor field. They should also include the student option to fill out a profile as a student. Every company should strive to find the best staff, with Linkedin Talent you can recruit the best candidates, it is very effective with the tools you can use to make decisions regarding the candidates to recruit. Most of the people who work in my company have their profiles on Linkedin, because we trust in the serious and solid that they are in Linkedin. Among all the job exchanges I recommend Linkeid. From the point of view of the company, it helps to recruit the best qualified staff, it allows to validate its profile, there is a great index of response on the part of the aspirants. It is the most solid work bag we have seen in our company. I like that I can find lots of diffedent job styles while still matchung them to my personality. The ease of being able to apply to multiple jobs quickly is wonderful, and greatly helpful with how many times similar questions are asked. I dislike that it is hard to initially set up all of the points of contact and setting/finding my trade profession(s) because of how spuratic my life and work style is. Get used to the buttons, controls, and uploaded information. Update often -I forget to do this. It seems/can be daunting but once it is set up it makes life and applying for copious amounts of jobs way easier until you snag the right one. I've found that with Linkedin, the problems of compiling all of my information into once place has gotten easier since using it more frequently, especially around the internet and how it is set up for job applications. "LinkedIn Recruiter Lite is very robust for the cost!" It's very affordable, so LinkedIn Recruiter Lite can be helpful for smaller companies who don't need to do a TON of hiring. You can do Boolean searches and get quite granular with whom your'e looking for. I didn't like how the LinkedIn Team tried to upsell me when they set up a training for LInkedIn Recruiter Lite. I mentioned up front that I didn't need to upgrade, but they kept showing me features of the upgraded version. When moving to another team within my company, I lost all of my InMails from my account. They couldn't recover them. Also, when you want to cancel Recruiter Lite, you need to email them to get refunded for your unused InMails. Pretty manual. To save money, try to reach out to people who've set their account to receive InMails for free. Look for the LinkedIn gold badge while searching for people. This can save you $10 per free InMail you send. Hiring great talent is a major part of any business's success. LinkedIn Talent helps us do that by finding people who come from companies we like, and from schools we trust. "show yourself to the business world with linkedin"
is a very useful platform to show you professionally and show what your skills are thanks to the creation of your personalized profile you can adapt them to your tastes and those, you can find people of interest who move in the same work environment as you and having your own business you can find clients or potential clients who are interested in your products or service. I find professionals who work in the same field that is very useful when looking for support for a project. "Primary sourcing tool in my day to day work flow"
Reaching a new candidate base that normally would not be accessible. "Use Cases and Deployment Scope "
LinkedIn Talent is more used for the higher level positions we staff for and more direct placement positions. It is being used throughout the entire organization, but recruiters are the main users of it -- across all states. It allows us access to those higher level candidates with strong backgrounds and more education and experience. "The best platform to find professionals. " For anyone is a secret how difficult it is to get work and workers lately, distribute and review the CV, it is so stressful and many times your CV is lost among a lot of papers, passing yours unnoticed, that's when LinkedIn Talent becomes in your best savior, fascinates me as through the I can get the staff I seek and always getting the best candidates, without losing time I love that I can also inform about the candidates and contact me and also with colleagues and other companies. In general LinkedIn was born to be the number one platform in the search for professionals. Really what I do not like about this platform is the amount of personal information that you must provide, and often you can borrow for identity theft, the rest is the best worldwide network of professionals that exists. It is an excellent tool, both to find a job and to find the ideal professionals for your company, it is easy to obtain and to use, and the best thing of all is that it is free, do not think about it anymore and create a LinkedIn profile. LinkedIn Talent has made my work easier and more efficient, it has facilitated the search for personnel saving time, and I can keep in touch with colleagues and companies from all over the world, it is simply great. ""Is a brilliant program to know the gifts and capacities of your new staff""
I cherish LinkedIn, in light of the fact that it's the quickest, best and reasonable approach to get the correct staff for your organization, or generally land the perfect position you're searching for. It is a mammoth worldwide business stage, in which you can detail in the manner in which that you think your aptitudes as a specialist are progressively advantageous and along these lines organizations can get some answers concerning you and get in touch with you, it is a success and win, we are a piece of the Companies, similar to me, get the perfect individuals and individuals looking for work get the organization that suits their requirements. LinkedIn is anything but difficult to access and utilize, you can interface from your PDA or PC. All in all LinkedIn is a worldwide system of expert data, which can enable you to land the position you are searching for or the laborer you need, it has spared my life in more than one event when I have to discover experts for the organization. LinkedIn has been my first decision right now of getting specialists or work, and truly it has satisfied its capacity in an amazing way, so there are relatively few things that I don't care for about this application or system, simply the way that occasionally an excessive amount of data is given that possibly in specific cases can be utilized contrarily by wrong individuals, other than that it is utilized a great deal for wholesale fraud and consequently I have had the capacity to locate a few false profiles. Linkedin enables you to distribute your very own advertisements for employment applications at focused costs. Through its colossal system of channels you can enter the profiles of potential representatives for your organization. Furthermore, on account of the inner reference framework you will get solid data about the applicants. LinkedIn can create more business, more openings for work and more cash than some other computerized media, as it keeps up direct contact with the pioneers and referents of a specific industry or part. Likewise, it additionally energizes contact between experts as it utilizes your online resume as an instrument for your expert advancement. "Linkedin the solution to your need for trained and reliable employees"
Linkedin like any other social network, presents the same risk, which is the lack of privacy. These sites can gather considerable amounts of personal information, the main ones being the email addresses. however, to get the most out of it, the user must disclose information about their current and past employers, as well as their contact information. The user assumes a significant risk of identity theft in the case that a crime is committed with the security of LinkedIn. Linkedin allows you to publish your own ads for job applications at competitive prices. Through its huge network of filters you can enter the profiles of potential employees for your company. In addition, thanks to the internal reference system you will get reliable information about the candidates. LinkedIn can generate more business, more job opportunities and more money than any other digital media, as it helps maintain direct contact with the leaders and referents of a particular industry or sector. In addition, it also encourages contact between professionals as it uses your online resume as a tool for your professional promotion. "LinkedIn is an Essential Tool for Successful Recruiting"
Searching for candidates via LinkedIn Talent is intuitive and reinforces positive recruiting habits. A clear picture of candidates is presented with all relevant information, without creating an overload of information. The Advanced Search parameters are unrivaled compared to many other applicant tracking systems. Sending InMails drastically improves candidate response rates for hard-to-source locations and requisitions. The application of messaging is slightly bugged and sending attachments can be unsuccessful. The messaging tool itself could use more functions for following up with responsive candidates and tracking conversations. There is a slight lag between LinkedIn notifications and email notifications. Dive in to the recruiting benefits, search functionality, and job searching aids LinkedIn Talent provides. There is a wealth of knowledge at your fingertips, and this service helps already proficient recruiters gain an edge. The usability and ease of access become apparent in minimal time, and as with any software, the more comfortable you are using it the more benefit you will see. Sourcing for difficult requisitions is solved with LinkedIn Talent in more ways than one (isolated search areas, innumerable search constraints and filters, candidate preferences, and profile openness, to name a few). Top talent is discovered via LinkedIn Talent, as a significant portion of job seekers rely on LinkedIn, and more importantly, solely on LinkedIn. Candidates who are open to new opportunities are given a medium to introduce themselves to recruiters and new business opportunities, which takes care of a necessary "first step" in the hiring process. "is in the best platform in which you can search, find and meet professionals in all areas you are lo"
"Great tool for online networking and browse the future company"
the best thing is you can browse and research the potential company that you will be interested. this is pretty useful that you can research the skill set needed to be qualified for this job since it allow you to connect to other relevant personnel in the future company. that other party will be notified that you are viewing their profile, so it will be kinda embarrassing. i personally will be in a odd situation during an interview facing the interviewer. i think you should allow user to turn on the feature and not let other people to know they were browsing your page. one of the business problem is that you will be knowing the qualification of the hiring candidated. It has made searching for things relevant to me important. LinkedIn has always been a useful tool of mine, and this is just another strength of theirs. For those who really want to get out there, you can involve yourself deeply into the program, and post all kinds of listings for your company. Just like LinkedIn, it is easy to get lost in the clutter of the sight. It is always known when you look at different peoples pages, and sometimes that turns me off from searching at different people/businesses. There are some fees if you want the best of the best, so look into the demo trial if you want to understand if this will be beneficial to your and your company. I need to look more into what else if offers, but if you are an active member of LinkedIn, than this can be a useful tool for looking into work. If you are interested in meeting others in your field, look into how you can use this tool to meet others like you who are possibly hiring, or look for others to hire for your company. It is a nice way to connect with other people in your field of business. You can search for people in the same job industry as you, and either find others for your company, and find a new job. Me atrae la versatilidad de esta heramienta web social, y su eje hacia el enfoque empresarial. la horientacion dirigida hacia este sector y las opciones y oportunidades que son brindadas a travez de este sitio web. hasta el momento aun no dispongo de una queja real del sitio web, considero que es eficiente su funcionalidad. Se recomienda el sitio web, como una gran forma de reclutamiento e integracion con profesionales y futuros profesionales, que disponen de talento, conocimiento y etica para ejercer una labor exigida. Esta herramienta es utilizada para la integracion hacia profesionales y futuros profesionales que desean disponer su aporte a la empresa, de manera laboral, etica y talentosa. "Platform to find real 100% genuine candidates with niche skills"
"Very Poor Renewal Policies/Customer Service/Clunky Tools"
Lots of available profiles and information on candidates. - LinkedIn actually penalizes users for not renewing subscription every month. I spent many hours developing saved searches, but wanted to suspend the subscription for a couple of months until we needed to recruit again. After cancelling and then trying to renew, i Learned that all of the searches would be lost (EVEN BEFORE THE SUBSCRIPTION WAS OVER!). I contacted support and asked for the searches to be saved if i renewed, and they refused. This is the sort of poor policy/customer service that makes users hate large platforms such as LinkedIn. - The search results are not reliable and candidate quality/match is not consistent. This causes significant wasted time having to sort through qualified candidates vs. non-qualified. - Communication tools are clunky and unreliable. Sometimes I can correspond using my email and sometimes cannot. Very frustrating. LinkedIn presents their recruiting tools as a major problem solver, but despite all of my time and efforts, i was very disappointed with the tool itself and results. We've also posted job openings, and rec'd very few qualified candidates, and was actually double charged for duplicate job postings that we never ordered or authorized. Had to waste time requesting refunds, etc. Major waste of money as well. Spent approximately $4k and rec'd maybe 10 qualified candidates over a 5 month period. Also be aware of the their renewal policies which penalize users for not renewing each month. I wasted significant time and effort on searches and it was all lost due to their policies. "Linkedin way to find qualified candidates to recruit to your team." I started using Linkedin Recruiter after I was offered a free trial. I didn't expect to use it as much as i did, but know i am able to scout for new talent without having them come to me. I can see their work history accomplishments and other people's comments on their profile, it makes finding new talent easy. If you are having trouble recruiting and hiring your ideal workers, instead of waiting for them to come to you, why not chase after them? I am able to recruit and find talent that isn't coming directly to my company, this allows our company to focus on how to improve ourselves and create a diverse team. "LinkedIn Talent has been a new,fruitful experience for our recruiting process." LinkedIn Talent is easy to use. it is easy to create job adverts and I like how upon launching a job advert,I am provided with a list of Lindkein users who fall into the category of the kind of applicants being seeked on our job advert. Ability to mass message all job applicants is a blessing,as it can be a thankless job trying to message hundreds of applicants one after another! I like the entire recruitment workflow on LinkedIn,as it enable me to immediately inform an applicant of his/her ineligibility for the job with just a click of a button,just as I can affirm an applicants eligibility for the job with just a click of the button,I can also move applicants from contacted,to interviews,to recruited ; depending on what stage of the recruitment process they currently are .Thus removing the need to jot down the above data on spreadsheets,which I seriously hate to do. We have sometimes launched job adverts on LinkedIn and it takes over a day before it actually starts pacing.I want to be able to post a job ad. And not have to keep logging back in to check if my ad. Is actually running,thus wasting a lot of my time and making me think I am missing something. LinkedIn Talent is where my organization gets the bulk of new employees for the past one year and counting.The best part of LinkedIn Talent is its relative fair pricing when compared with local job search platforms like jobberman etc Also LinkedIn Talent always allows my organization select from a large pool of candidates whenever we have a vacancy and while it is always a difficult task trying to select a few tens of candidates from hundreds of applications,this scenario only ensures that the best candidates are the ones who get picked. "My Personal Review of LinkedIn Talent"
The best features of LinkedIn that appeal to me most is the app, it's fast and user friendly. I don't get spammed with notifications because it's easy to turn them on and off whenever I need, its important to me that I have and easy time customizing my applications at any time. I also have the LinkedIn app slideshare and I think the ability to save the wealth of information from this app offline is super useful in case of any WiFi interruptions, I have learned so much to contribute to my business model from slide share that is hard to find if you don't know to look for it. I dislike the profile page a bit, I think some of the information needed to complete your profile is superfluous. I understand you should have your best credentials available to make great business connections, but some of the criteria for completion seems more personal than for business ventures. I definitely recommend LinkedIn for anyone who owns a business, is looking to own a business or to just make helpful connections in their field. I also recommend LinkedIn to students, it's best to research and build relationships with potential employers. I am solving the issue of connecting with other people of my demographic who are also in the same business, I have connected with many people my age and younger and have had a few beneficial business relationships over the time that I first signed up for LinkedIn. "A great tool for talent acquisition - but has its limitations"
Ability to drill down on exactly who you're looking for and reach out to them directly, or see if there's a mutual connection to help facilitate the conversation. It's the largest network you're going to find when it comes to a broad range of contacts/talent. Everyone uses it. This creates InMail fatigue in certain sectors and markets, making it difficult to get replies from certain types of people in the network. It's a powerful tool - spend the time learning how to use it effectively to maximize your ROI. Utilize LinkedIn Talent for many different challenges - finding talent with specific skillsets, industry experience, and former employers is great. Using it to analyze how quickly competitors are growing is a great insight as well. "How I became a fan of LinkedIn"
My favorite feature of LinkedIn is the network you can create based on your credentials or the credentials of others. These could be people that would work in your field which would be a huge asset if you are in charge of hiring, or you can network with people from any line of work. The only negative that I notice with LinkedIn would be the layout, it could be easier to navigate and the interface could use an update. It doesn't take long to set up your profile, the connections that you can make can be invaluable! 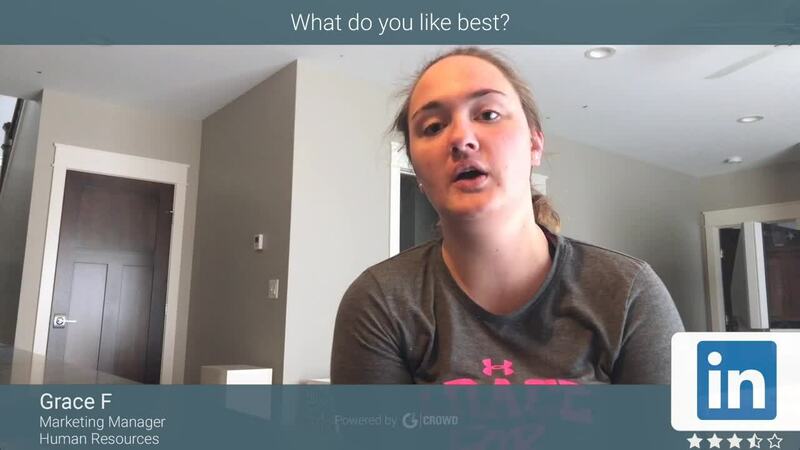 Currently the biggest benefit has been networking, it's so streamlined with this site that I can choose any category and find people that I know or new people that I would like to meet. If you have a job in sales or one that relies upon contacts in other fields, LinkedIn is a huge asset. "a platform in which you can create your professional profile"
It's great to be able to see people's full profiles on LinkedIn. The search for skill set feature is also helpful as a recruiter. I have not fully utilized the notes feature for LinkedIn, but we as a team hope to soon. Posting jobs is really easy and simple to use, so that's a huge plus. Having a candidate pipeline will hopefully pay off in the future! We are still somewhat new to the system, but I don't see us leaving anytime soon. We have only touched the surface of the system! It's a lot, and it's difficult coming from the non-profit side and knowing our compensation is lower than the for-profit world. That makes it difficult when trying to contact candidates. Another difficultly is that we are a religion organization, so we are looking for people with similar beliefs. LinkedIn doesn't show that, rightfully so, but that makes it a little challenging when we are looking at candidates from the "'corp" world. Talent Sourcing. We have always been on the reactive side of recruiting, but we are trying to move into the proactive recruiting and LinkedIn Talent has helped with that. It's not an easy transition, but it's a good first steps! "LinkedIn Talent - The New Evolution"
I like the User Interface and how easy to perform searches. It combines a lot of features in to a single platform. This makes it one of the best tools in recruiting and sourcing [RPO]. On top of all I like its displayed results when a search query is performed. It's saves a lot time in going through all of candidate's profile. Keywords filtered making candidate selection easy and straightforward. Frankly, not all candidate's contact information are up to date but it is all good. Searches within a specific location sometimes extend to different location mostly when filtering with Cities and or States. Moreover, skills filter doesn't have all skill requisitions in it and make its difficult in getting some candidates. If you input such words in keyword filter it doesn't work as it should have been inputted in skill filters. LinkedIn Talent is versatile tool that makes recruitment very easy and I will recommend it to other Hiring Managers and Recruiters because it saves time hence increasing productivity. Recruiting Top Tech Talents. LinkedIn Talent host a lot ideal candidates making our recruiting process a dream come true. Getting 1% - 10% top candidates is every recruiting company's priority and this talent tool has made easy to get multiple pipeline with this percentage range of top candidates. 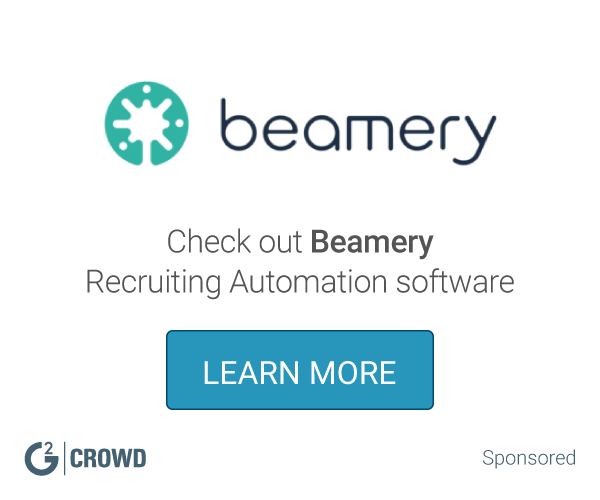 "Great Tool for Candidate Sourcing! " I like that I can filter by geographic location, type of employment they might be open to - great for finding consultants, the Boolean search string is really helpful too. I also like that I can see if I have already viewed a candidate before and if I have already sent them a message. Not a big fan of the skills section and searching by that alone - I find that people add things that aren't relevant to their current work history, like if they learned it in college, they mark that as a skill and aren't endorsed with it, but it still comes up if you add that skill in. I have been using the keyword search over that. Great tool to use when you are looking for candidates with certain skills or experience. Easy to use and you can see if candidates are open to new job opportunities - makes it easier to figure out who to target if you have a hot job. I'm connecting with candidates that are looking for new opportunities and getting responses. More and more people are using LinkedIn and utilizing this newer feature. We have a lot of resumes coming in that are fairly job specific. You can't limit the resumes being sent in to say within the province so some resumes are from far away job seekers which doesn't work for us. Also, you can't set parameters for people who are applying. I find this to be particularly odd since we pay per resume that is sent to us even if it's Joe Blow who has nothing to do with the field we are advertising for. This site would be of much better use if we could create specific questions for people applying and based on the answers to those questions, proceed to view their resume for the fee or have the option to delete it and not be charged for a resume that is no where near the job description being posted. Fine tuning what we want with regards to skill set needed for the job. Fine tuning of resumes coming in as to who is definitely not a candidate. I like that the location of individuals is clearly displayed so that we are able to determine if they are too far to consider or if they may be willing to possibly relocate to our location. "LinkedIn Talent for Fast Hiring"
LinkedIn Talent does as advertised: it is a fast, convenient, easy-to-use, "recruiting solution". The program helps my office to identify new talent that appear as if they would fit seamlessly into our office. The program also helps direct traffic to our office's webpage, which is also great for drumming up interest in our work. The program appears to have an overly "social network"-type feel, which, at times, can seem unprofessional. In essence, the program does facilitate greater interaction between recruiters/potential employers and potential employees, yet it does give off more of a facebook vibe, than a professional recruiting platform. LinkedIn Talent helps our office to find potential hires with easy. As described by an individual in our office, LinkedIn Talent has basically taken the "hard work" out of the recruiting process. By utilizing connections and key words, the program has truly helped to connect our office with valuable additions to our work team. "LinkedIn Talent has helped me to find the best candidates in the industry! " I love the ability to really search LinkedIn based off not only their location, but also their educational background as well as a variety of other skills/key words that are so beneficial in finding the best candidates. What also is so great is the similar LinkedIn profiles that appear based off of location and industry as well. Even by searching one specific candidate, the search can lead you to so many more which is incredible. One of the attributes that I do dislike about the program is the way that Talent Inmail is set up. If a candidate does not click their Inmail, they may not see the message we are trying to send for potential new opportunities unless you are already connected with them. We are trying to solve our attraction and retention of Talent through LinkedIn Talent. It has become so much easier to find candidates based off of specific talents, universities, and even using previous employment to find the best individuals in the industry. "A simple but very effective way to recruit qualified personnel." It has a search engine that facilitates the search of the candidates appropriate to the needs of the organization. Its platform allows to organize candidates in folders, which facilitates the order of these. And a great advantage is that it allows you to connect with candidates easily, the ideal candidate is only a few clicks away. I would recommend it, although it is expensive if it helps to find qualified people for your organization. We have used LinkedIn Talent to connect with a qualified staff for the charges we need. "Not great for sourcing, good for reaching out to candidates"
I like finding candidates resume on a different job board and being able to send them an instant message. Sometimes finding candidates thru LinkedIn does prove helpful. I don't feel that LinkedIn is good for sourcing or finding candidates. I understand why because many good candidates don't have their LinkedIn profile fully filled our and it's not like searching for keywords like you would with a resume database. There are also very frequent instances where LinkedIn recruiter won't load properly or show messages properly. I had to reach out to the support team one time because I was not able to access my messages and needed a phone number from there urgently and they were not helpful. Just be patient when it runs slowly and use it in addition to another resume search database, that's how you'll likely get the best results. Great for connecting with talent that I do not already have a relationship/phone number/email for. "great talent hire from linkedin talent"
its simplicity to use and since it uses machine learning to provide recommendation, its very powerful tool in todays age. It minimizes the time one takes to hire new talent. It a pipeline builder as it helps in creating a targeted pipeline of engaged talent. can be very overwhelming to use as lot of recommendations come and some can be irrelevant. it is a bit costly and intimidating to use it in first time. you should definitely look in using the linkedin talent platform. It minimizes the time one takes to hire new talent. It a pipeline builder as it helps in creating a targeted pipeline of engaged talent. "Okay- works well for some jobs and not for others"
I like that you can see who you've contacted and when and when other team memebers have reached out or even viewed. Not as popoular within Healthcare (not many Nurses or NPs). DOn't like that you can't bulk email if it falls below a certain percentage, you try getting Medical Directors to respond. Very expensive but bulk email hasn't worked very well. Sometimes the only way to make contatct. But I wish you knew if candidates were active. Like when was the last time they logged on. I love the ability to keep projects of candidates for jobs and also view the history of engagements with candidates/views by team members, etc. I dislike the new UI, it is very slow and I don't like that they changed the fact that you can no longer search through people's connections directly from their profiles. Its a must have for recruiting needs these days. However, be wary of the up sells and additional cost inducing features like job postings. We have seen less ROI from job listings. Also, for pure engineering recruiting I would have a supplemental source for finding talent in addition to Linkedin. However, it is the best comprehensive platform for finding US talent in Sales/G&A/Marketing etc. Engineering is fine too. The ability to find and recruit top talent to our company. We've had another benefit of furthering our brand through promoting our recruitment brand. We've hired a few passive candidates by finding them and reaching out to them via Linkedin Talent. "Not the best (or cheapest) way to source talent via LinkedIn"
LinkedIn talen definitely does not disappoint with the sheer number of applicants their platform provides. It is also rather simple to set up a job posting, track applicants, etc. The pricing structure is not completely transparent and their support was completely unresponsive when my organization attemtped to contact someone regarding the charges associated with one of our job postings. Make sure you are 100% clear on the terms and pricing structure of your job posting or you may end up spending much more than you anticipated. LinkedIn Talent does provide a level of visibility that other job posting sites cannot offer. As previously stated, this visibility typically translates into an abundance of apllicants, providing us the opportunity to source from a larger, more diverse candidiate pool. "A necessity in the industry"
A LinkedIn Recruiter license makes it easy to quickly search for talented candidates. LinkedIn and Microsoft have a bit of a monopoly on HR Technology as the "professional" social network. They often roll out new UI features before testing them, or, worse, take away old features with little warning. With Google Hire entering the HR Tech market, I'm not sure LinkedIn is heading in the right direction - they're trying to make it much harder for recruiters who use the product to reach out to candidates anywhere else, but many talented folks already avoid it because they're being inundated with spam - I think we're moving towards a war between two tech giants. We use LinkedIn to find and get in touch with candidates who are otherwise hard to reach out to. "Use Only Out of Necessity"
I use it because I can't NOT post jobs on LinkedIn (particularly the more professional jobs). But I absolutely wouldn't use it if I didn't have to. The only thing I like about it is being able to purchase jobs slots with quantity discounts. It's much more cost-effective than purchasing jobs one-off online through LinkedIn. 1) The customer service is HORRENDOUS. 2) It takes a shocking amount of time (days) to purchase sponsored boosts. And I don't understand why I can't do that online 3) It's ridiculous that there is not SSO and I have to log in to THREE different systems (Recruiter, Recruiter Lite, and my regular account, depending on what I'm doing. That's an awful user experience. 4) The data / stats are wrong, customer service acknowledges that my data is wrong, and they also say that they won't be fixing it (????) -- it's been months and I've complained multiple times. Software is archaic, and features are minimal. I very much look forward to the day when LinkedIn is no longer a necessity and gets squashed by the competition. It's a necessity if you don't want to miss out on candidates, but keep an eye out for better things. Their model is not sustainable. I'm solving the ridiculous and unacceptable pricing strategy that LinkedIn uses for people who purchase online. If you're not on Recruiter / Talent, and you want quantity discounts and purchase a 10-pack, you have to purchase a different ten-pack for every city you have a job posting for. For example, If you have two positions -- one in NYC and one in NJ, and you have purchased a ten-pack of postings, you can't use the postings in the ten pack for both of those geographical locations. Also, if one is an hourly position and one is a salary / skilled / professional position, you can't use the same ten-pack -- you have to have separate ten packs for each type. It's insane. Job slots on talent can be used for anything. There is no other business problem I'm solving. I just can't not post to LinkedIn since I'd be missing candidates. I try not to do much proactive outreach to passive candidates, but if I do, I do use Talent for that as well. * We monitor all LinkedIn Talent reviews to prevent fraudulent reviews and keep review quality high. We do not post reviews by company employees or direct competitors. Validated reviews require the user to submit a screenshot of the product containing their user ID, in order to verify a user is an actual user of the product. Hi there! Are you looking to implement a solution like LinkedIn Talent?